The solar panel mounts we carry are designed for climatic condition in Canada, such as harsh weather, high winds, and higher latitudes. In fact, we only sell mounts from brand name suppliers with superior track records for safety and reliability. Not sure which mount you need? Give us a call and we’ll walk you through your options. These solar panel mounts feature innovative solutions such as adjustable height and self-sealing feet. They attach easily to any asphalt shingle or metal rooftop, making them a great option for most panels. Secure your smaller solar array with these inexpensive roof mounts, sometimes referred to as a ballasted array. These roof mounts feature adjustable aluminum brackets that can be angled for your location and season. 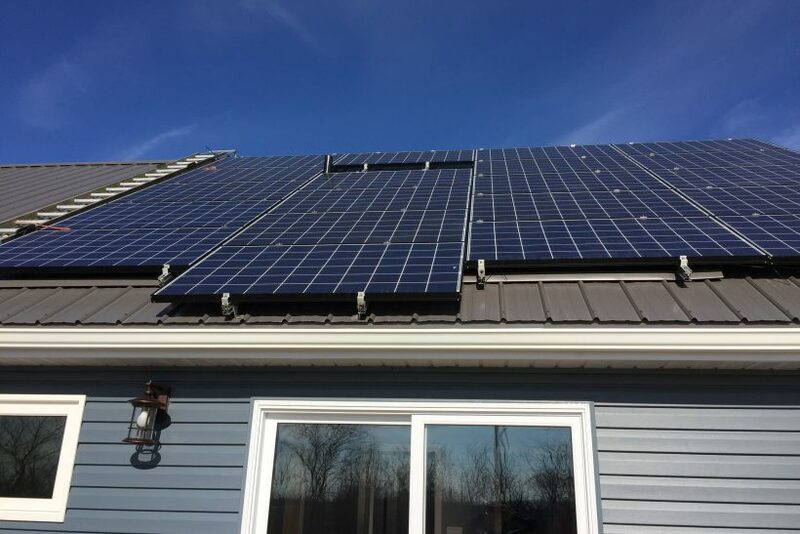 Designed for ease of winter snow removal, these mounts allow solar panels to be installed up to one meter above ground level. Constructed of aircraft grade aluminum struts, they can be tilted seasonally to optimize solar harvest. Engineered top-of-pole mounts are made out of aircraft grade aluminum and stainless steel hardware, making them strong, durable, and corrosion resistant. These mounts are designed to tilt from 0° to 70° depending on the season. Vertical pole mounts are made from high-tensile aircraft quality aluminum and steel fasteners. They are known for their good framing strength & corrosion resistance. Mounts are fixed 90°, perfect for remote areas. Used primarily for grid-tied solar, these mounts are designed to follow the sun across the sky using one or two axis of rotation for maximum solar harvest. These arrays can be used for many of the solar panels on the market today.